Uninsured Motorist and Underinsured Motorist Insurance Coverage is crucially important Insurance Coverage for all motorists. If someone is injured as a result of the negligence of an uninsured third party, the injured victim will receive no compensation as a result of the automobile wreck unless they have uninsured motorist coverage. In a UM or UIM case a motorist must bring a claim against their own insurance carrier as result of the auto accident, motor vehicle or motorcycle collision. In some ways, uninsured (UM) and underinsured motorist coverage (UIM) is more important insurance then liability coverage. The reason that UM and UIM insurance coverage is so critical is that UM and UIM covers your or your passengers injury caused by a negligent motorist without proper coverage or no insurance. On the other hand, liability covers when someone else is seriously injured in a mishap as a result of your carelessness. UM and UIM coverage may also cover you when you are driving another vehicle or hit by an uninsured vehicle as a pedestrian in a pedestrian accident. Uninsured motorist property damage coverage is also important but beyond the scope of the personal injury law post. As a result of increased costs of medical care from injuries caused by car accidents as well as the potential devastating loss of wages, disability and pain and suffering, state minimums are usually not enough to compensate an injured victim for their damages. It is generally not permitted to have more UM and UIM coverage then liability coverage. 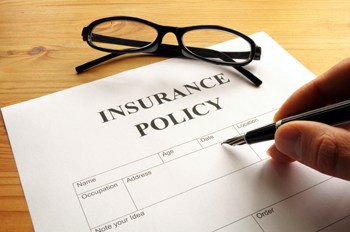 Most UM and UIM policies require arbitration to determine coverage. If a motorist is injured in a hit and run motor vehicle or truck accident in which the other motorist is at fault for the crash, the reckless tortfeasor will be considered an uninsured motorist. Rhode Island defines an underinsured motorist as “An “underinsured motorist” is the owner or operator of a motor vehicle who carries automobile liability insurance with coverage in an amount less than the limits or damages that persons insured pursuant to this section are legally entitled to recover because of bodily injury, sickness, or disease, including death, resulting from that injury, sickness or disease.” § 27-7-2.1 Uninsured motorist coverage. Some states such as Rhode Island allow motorists to “stack” coverage. Many states do not allow stacking of policies. This can be a very confusing area of law that may involve multistate and conflict of law questions. It is advisable that if you are involved in a car crash, you retain an experienced personal injury attorney. In general, “stacking” means that an injured victim can receive compensation from a combination of insurance policies. In other words, if a negligent motorist with 25k policy rear ends a motorcyclist and the motorcyclist has 50k in medical bills as well as lost wages, traumatic brain injury and pain and suffering then the motorcycle operator through their motorcycle accident personal injury lawyer can collect the $25,000 policy in addition to his own $100,000 underinsurance policy for a total of $125,000. In Rhode Island, a motorist can waive UM and UIM coverage but if they do not sign a waiver on a yearly basis they automatically have the state minimums. In many insurance policies, an insured injured victim is required to get written consent to settle with the underinsured tortfeasor before they can pursue compensation from their own UIM insurance company. PreviousPrevious post:Motorcycle Insurance: Types of Coverage ExplainedNextNext post:What Is The Minimum Liability Auto Insurance Coverage in Your State And Why Should You Carry More If Possible?